Padraig Harrington returns next week to the US Open course that almost destroyed his career. 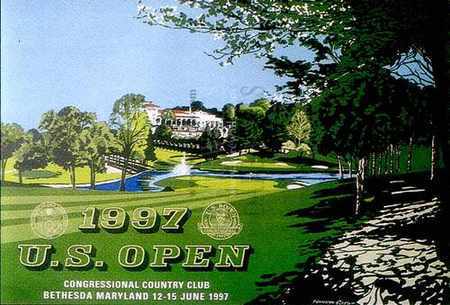 The Dubliner made his debut in an American major at Congressional Country Club in 1997 and discovered that he just couldn’t handle the deep rough or play the high-ball game required to become a major player. He suffered sunstroke trying to work out the course in practice, shot rounds of 75 and 77 to miss the cut and decided he had to make radical changes to his game if he was ever to win an American major. The result was a move to Scottish swing guru Bob Torrance that’s seen him win three majors so far - including the 2008 US PGA. Now he’s ready to show that his recent fall to 51st in the world is nothing but a blip when he returns to the course than changed him forever. Reflecting on that life-changing week 14 years ago, Harrington said: “I just failed miserably. I felt my game was totally inadequate to compete in that style of golf course. “I couldn’t believe how tough the golf course was, I couldn’t get around it. I came home, just thinking, well, I’m a good golfer, but that’s really tough, unless I do something about it. “It was then I started working with Bob Torrance, who as far as I’m concerned is the best swing coach in the world, and I’ve worked tirelessly to improve my game so that I could compete on the US-style golf courses. If Harrington needed convincing about his game after Congressional, he got it in spades when he crossed the Atlantic later that summer for the US PGA at Winged Foot. He recalled: “I just didn’t strike the golf ball well enough. The US Open at Congressional and the PGA at Winged Foot, they beat me up completely. Torrance and Harrington went to work to rebuild his swing, but it wasn’t easy. The Scot said: “When I first saw Padraig, his technique was poor. His swing didn’t create a lot of leverage, and his lower-body movement was awful. Of course, Harrington would go on to spend the next 10 years changing his swing with Torrance and their hard work paid off when the Dubliner won the Open at Carnoustie in 2007, retained the Claret Jug the following year at Birkdale and then became the first European to win back-to-back majors in the US PGA a couple of weeks later. He’s had just one win since that third major victory and slipped out of the world’s top 50 after a season cursed by niggling injuries. Yet Harrington still believes he’s still getting better and while he turns 40 in August, he feel far from jaded by the game. Shrugging off the age question, he said: “I have never been more optimistic about my game and I truly think the best years are ahead of me. He’s also a far better player than the wide-eyed kid who got a severe shock to the system at Congressional 14 years ago.